Whey protein powder side effects. Most of the whey protein powders are safe for everyone. The word ‘whey‘ refers to milk serum which is the liquid by-product produced during the curdling of milk.Whey protein contains 20% of the proteins that are present in animal milk. The other 80% is made up of casein.Whey protein is a mixture of globular proteins that have been isolated from the milk serum during production. Whey protein contains all 9 essential amino acids. Among these amino acids, the BCAAs (Leucine, Isoleucine and Valine) are present in high quantities. The BCAAs account for 35% of the essential amino acids presents in the muscle protein and 40% of the preformed amino acids required by mammals. All these combined give Whey protein the highest biological value than any known protein supplement. 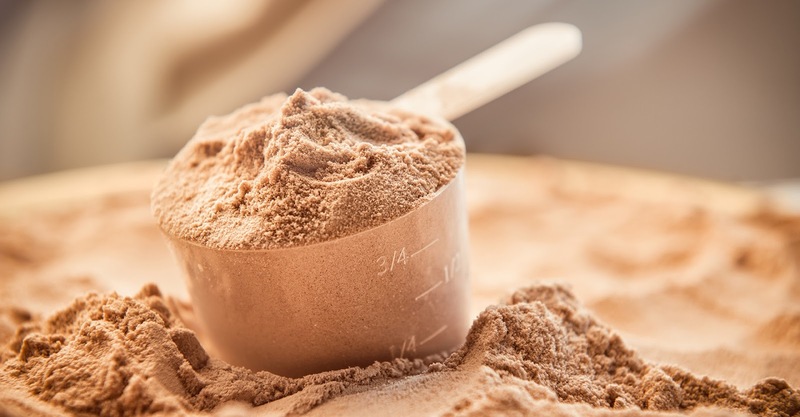 Some whey and soy protein powder may cause stomach pain, diarrhoea and constipation if you consume them in large amounts. Soy protein and whey protein have phytoestrogens that mimic estrogen hormones in the human body. high intake of phytoestrogens may increase breast cancer risk or breast cancer reoccurrence rates, although research on the subject is inconclusive. Studies show that protein powder contains heavy metals. Each sample tested positive for one or more of the heavy metals lead, cadmium, arsenic and mercury, and three samples were found to contain potentially toxic doses of the metals in three servings. Continued low-level consumption of such heavy metals can produce symptoms including fatigue, constipation, headaches and pain in muscles and joints.